The Fourth of July aka Independence Day, is a wonderful holiday that celebrates the adoption of the Declaration of Independence on July 4, 1776! To celebrate we are continuing our BIG SUMMER SALE with a great 4th of July sale! Our beautiful red, white and blue ceramic containers are on sale for 40% OFF! They will set the patriotic mood for any party! They make great centerpieces! and our red white and blue flowers are on sale 40% OFF to 70%OFF! sale ends on July 3rd, so hurry in and start planning your 4th of july party! We also have a ton of other great items on sale NOW until July 3rd, hurry in! So far our BIG Summer blowout has been a real hit! So much product is on sale that we wanted to feature more items on the blog. Ceramic container are one of the many items that are on sale for 40% OFF. They are great ready to go containers that look awesome no matter what room you put them in! We have such a huge variety that you are sure to find the right one! They are perfect for centerpieces at a party, you can fill them with greenery, flowers or anything you can think of! Right now it’s baseball season so I have a few of the baseball ceramic containers around my home filled with my favorite indoor greenery! We have great looking designer ceramic containers too! They are wonderful home interior colors that will spruce up any home! 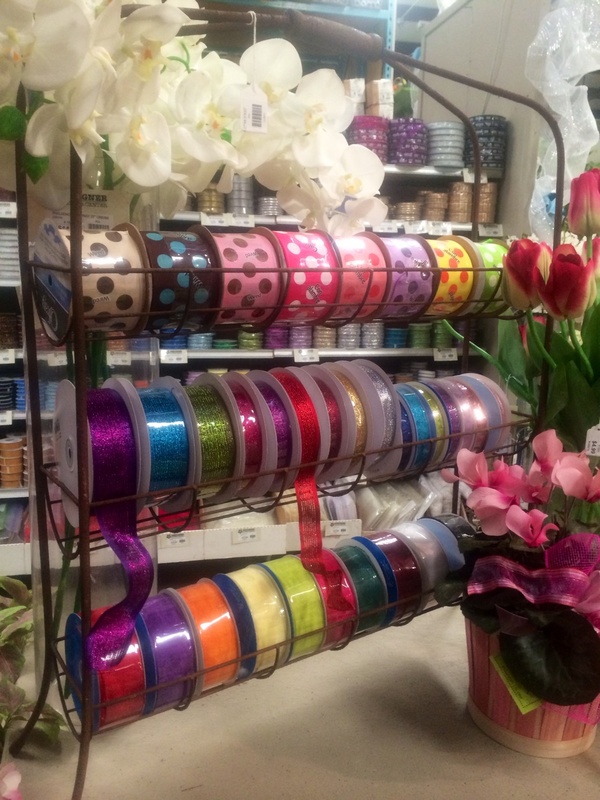 We have one of the largest selections of ribbon here at DFC! 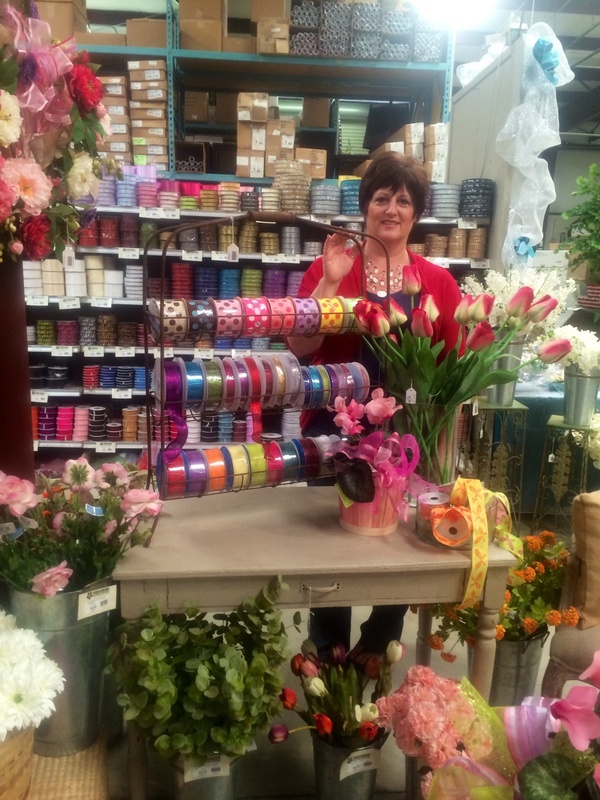 Our ribbon is made from the finest quality and we have a HUGE variety to choose from. They come in all widths, colors, and patterns! I know we featured greenery in our blog last week, BUT we have so many great greenery items that we just have to share it again!!! literally ALL greenery is 40%-70% OFF! We have so much going on here at DFC! We are having a HUGE SUMMER BLOWOUT SALE that is going on until July 3rd! WOW what a big long sale huh! Today we are featuring flowers, greenery, berries and fruit! around your home or office! Greenery is an awesome addition to your floral arrangements, in a beautiful container in your home and office and it’s on sale!! Now until July 3rd all greenery is on sale 40%-70% Off! Fruits, berries and veggies are also on sale until July 3rd and they are on sale 40%-70% OFF! They look so awesome in a nice bowl sitting in the center of the kitchen table, or on the counter! Come on in and see what fruit we have! We have a lot of item on sale right now until July 3rd! Come on in! Wowza, it’s been hot here in Fresno! Even though the “official” first day of Summer isn’t until June 21st, it definitely feels like mother nature has started Summer a little early here! This month we have some sizzling deals for you all, beat the heat and come into Designer Flower Center! These deals are so good, I think a few of them are our biggest sales yet! Grad celebration & Extended Hours! Graduations are this week and here at DFC we have some AWESOME items for your grad’s party! We also will be open late this Thursday (tomorrow) so you have the chance to get your last minute items. We are also having GREAT sales on graduation party items! Do you have a graduate who loves Sports? 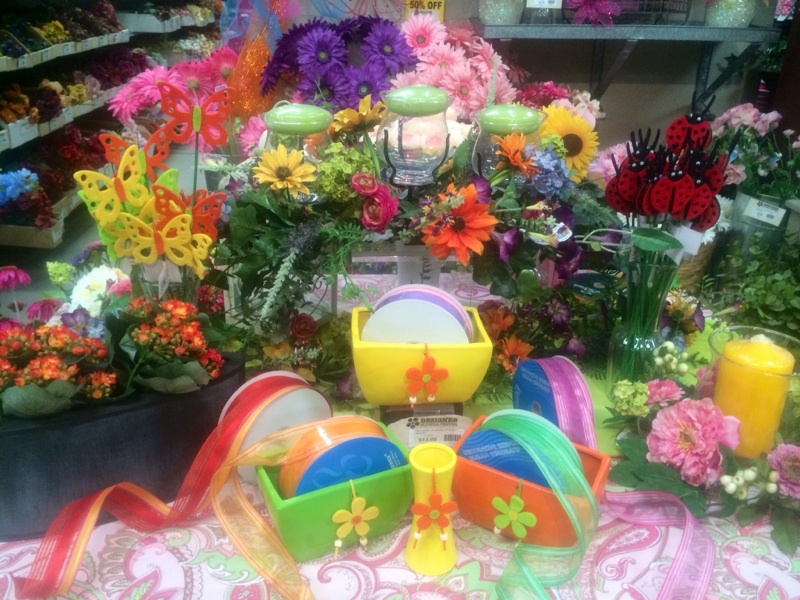 We have great containers that are perfect for centerpieces! 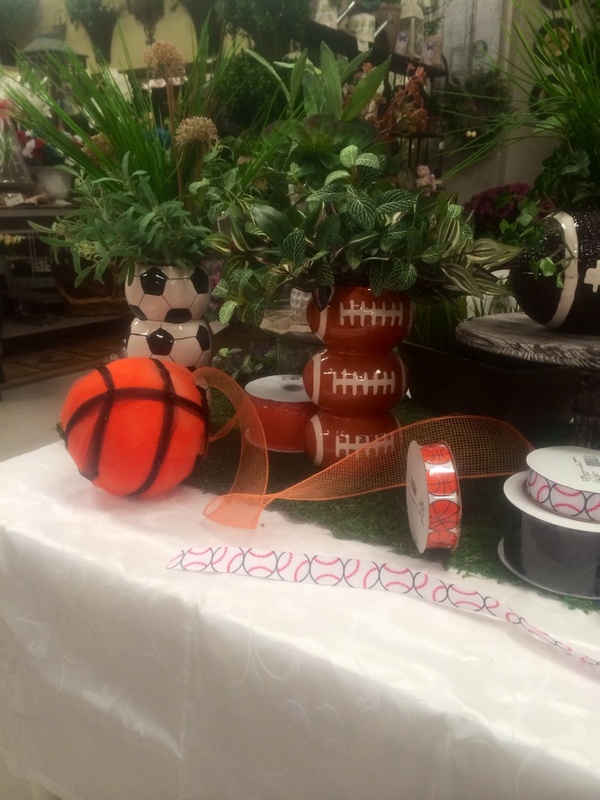 Golf, football, soccer, softball and baseball along with sports theme ribbons! All of our Party ribbon is 30% OFF! that’s right, 30% OFF! 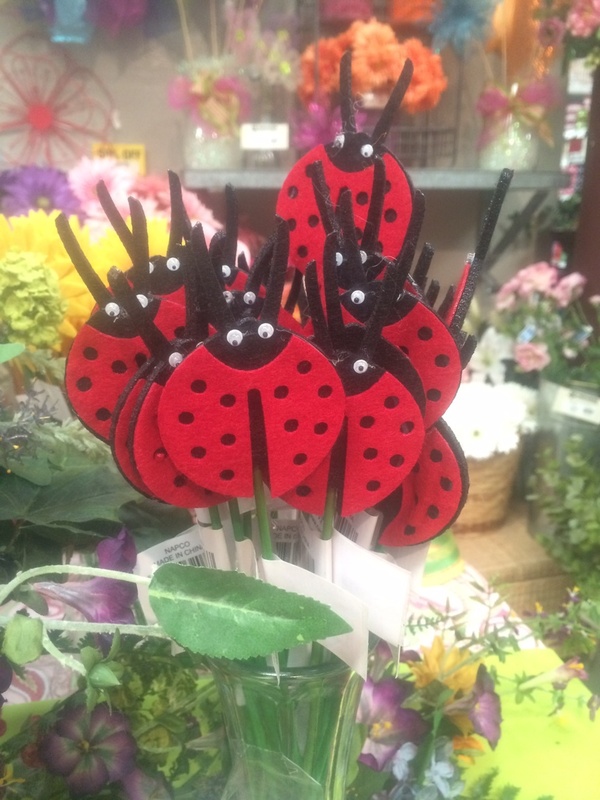 Our ladybug and butterfly picks are 50% OFF! Which makes them a great sales Price of $1.32 each! 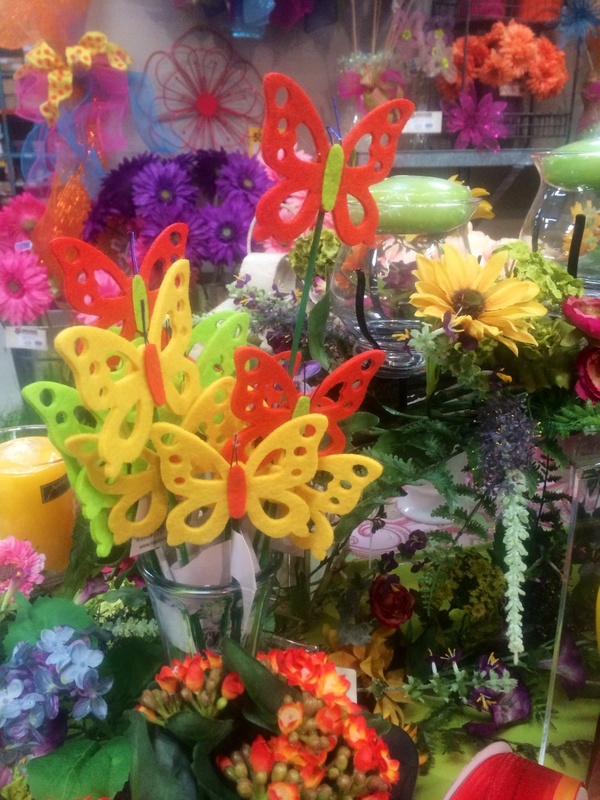 They make great cupcake toppers or a great addition to and live plant or flower centerpiece! 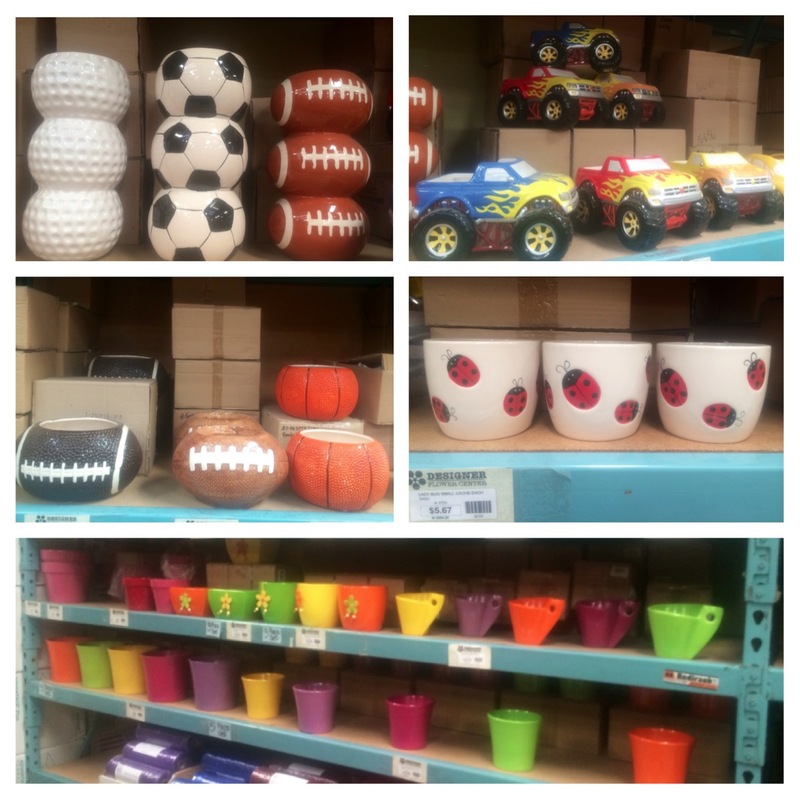 We have a HUGE assortment of party themed containers! on sale now until June 7th! We also carry some GREAT teacher “Thank you” gifts that are on sale now! Grow bottles are a customer favorite and they are back in stock!! Michael Design Work soaps, lotions, and shower gels 20% OFF! These great hand and body items smell great and make wonderful ready to go gifts! Don’t forget, this Thursday (tomorrow) we are open late!